^ 【今日柔佛頭條】新山 巴西古當 管轄範圍擴大 4地方政府完成邊界劃分. 中国报. ^ Malaysia Elevation Map (Elevation of Johor Bahru). Flood Map : Water Level Elevation Map. [2015-08-22]. （原始内容存档于2015-08-22）. ^ 'Make JB the second biggest city'. 星報 (马来西亚). ^ GaWC - The World According to GaWC 2016. Lboro UK. ^ Mercer - Quality of Living 2018. ^ RANKED: Southeast Asian's Quality of Living 2018. ^ Zainol Abidin Idid (Syed.). Pemeliharaan warisan rupa bandar: panduan mengenali warisan rupa bandar berasaskan inventori bangunan warisan Malaysia. Badan Warisan Malaysia. ISBN 978-983-99554-1-5 （马来语）. ^ 12.0 12.1 Background of Johor Bahru City Council and History of Johor Bahru (PDF). Malaysian Digital Repository. 2013-03-12 [2015-06-27]. （原始内容 (PDF)存档于2015-06-27）. ^ Latar Belakang. Majlis Bandaraya Johor Bahru. （原始内容存档于2015-11-17）. ^ Margaret W. Young; Susan L. Stetler; United States. Department of State. Cities of the world: a compilation of current information on cultural, geograph. and polit. conditions in the countries and cities of 6 continents, based on the Dep. of State's "Post Reports".. Gale. October 1985. ISBN 978-0-8103-2059-8. ^ Gordon D. Feir. Translating the Devil: Captain Llewellyn C Fletcher Canadian Army Intelligence Corps In Post War Malaysia and Singapore. Lulu Publishing Services. 2014-09-10: 378–. ISBN 978-1-4834-1507-9. ^ Cheah Boon Kheng. Red Star Over Malaya: Resistance and Social Conflict During and After the Japanese Occupation, 1941–1946. NUS Press. 2012-01-01: 13–. ISBN 978-9971-69-508-8. ^ Library of Congress. Library of Congress Subject Headings. Library of Congress. 2009: 4017–. ^ Team, Discuz! Team and Comsenz UI. 大马统一译名 (马来西亚华语规范理事会编汇) - 政经文教 - 「风下之乡」沙巴论坛 - 沙巴人聚集之地 - Powered by Discuz!. E-Sabah. ^ Carl Parkes. Southeast Asia Handbook. Moon Publications. 1994. ^ Faridah Abdul Rashid. Biography of the Early Malay Doctors 1900–1957 Malaya And Singapore. Xlibris Corporation. 2012: 383–. ISBN 978-1-4771-5994-1. ^ 周, 定国. 世界地名翻译大词典. 北京: 中国对外翻译出版公司. : P-432. ISBN 978-7-5001-0753-8. ^ History of the Johor Sultanate. Coronation of HRH Sultan Ibrahim. 2015 [2015-07-02]. （原始内容存档于2015-07-02）. ^ Carl A. Trocki. Prince of Pirates: The Temenggongs and the Development of Johor and Singapore, 1784–1885. NUS Press. 2007: 152–. ISBN 978-9971-69-376-3. ^ 25.0 25.1 S. Muthiah. The city that gambier built. 印度教徒報. 2015-06-19 [2015-08-19]. （原始内容存档于2015-08-19）. ^ Keeping the art of Teochew opera alive. New Straits Times. AsiaOne. 2010-07-24 [2015-07-24]. （原始内容存档于2015-07-24）. 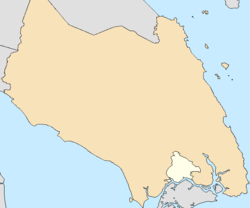 ^ Iskandar Puteri, the Early Name for Johor Bahru – The Iskandarian Online. www.theiskandarian.com. [2017-11-22]. （原始内容存档于2017-12-01）. ^ Patricia Pui Huen Lim; Diana Wong. War and Memory in Malaysia and Singapore. Institute of Southeast Asian Studies. 2000-01-01: 140–145. ISBN 978-981-230-037-9. ^ Richard Reid. War for the Empire: Malaya and Singapore, Dec 1941 to Feb 1942. 澳大利亞戰爭紀念館. Australia-Japan Research Project. [2015-07-02]. （原始内容存档于2015-07-02）. ^ Bill Yenne. The Imperial Japanese Army: The Invincible Years 1941–42. Osprey Publishing. 2014-09-20: 140–. ISBN 978-1-78200-982-5. ^ Arthur Cotterell. A History of South East Asia. Marshall Cavendish International Asia Pte Ltd. 2014-07-15: 341–. ISBN 978-981-4634-70-0. ^ Nathalie Fau; Sirivanh Khonthapane; Christian Taillard. Transnational Dynamics in Southeast Asia: The Greater Mekong Subregion and Malacca Straits Economic Corridors. Institute of Southeast Asian Studies. 2014: 253–. ISBN 978-981-4517-89-8. ^ 39.0 39.1 Eric Wolanski. The Environment in Asia Pacific Harbours. Springer Science & Business Media. 2006-01-18: 349–. ISBN 978-1-4020-3654-5. ^ 乔向. 亚洲地理 第十五卷. 中国: 上海书局. 1966: 61 [2017-10-04]. ^ Al-Gailani, S.A.; Mohammad, A.B. ; Shaddad, R.Q. Evaluation of a 1 Gb/s Free Space Optic system in typical Malaysian weather. 槟城, Malaysia: IEEE Xplore: 121–124. 2012 [2015-07-10]. ISBN 978-1-4673-1461-9. doi:10.1109/ICP.2012.6379839. ^ Al-Gailani, S.A.; Siat Ling Jong; Michele D'Amico; Jafri Din; Hong Yin Lam. Analysis of Fade Dynamic at Ku-Band in Malaysia. Hindawi Publishing Corporation（英语：Hindawi Publishing Corporation）: 7. 2014-01-05 [2015-07-10]. doi:10.1155/2014/741678. ^ World Weather Information Service – Johor Bahru. World Meteorological Organisation. [2015-03-25]. （原始内容存档于2013-10-23）. ^ 新山6大河流受污染 人类排泄物是祸首. 星洲网. 2007-11-09. ^ Johor Bahru as the second most important city in Malaysia. Khazanah Nasional. ^ 50.0 50.1 50.2 50.3 50.4 Flagship A: Johor Bahru City. Iskandar Regional Development Authority. Iskandar Malaysia. [2015-07-27]. （原始内容存档于2015-07-27）. ^ 51.0 51.1 Johor Bahru, a city on the move. 南華早報. 1996-08-31 [2015-07-26]. （原始内容存档于2015-07-26）. ^ Aldo Tri Hartono. 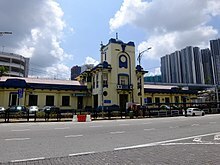 Wisata Belanja di Malaysia, Johor Bahru Tempatnya. DetikCom（英语：DetikCom）. 2014-08-11 [2015-07-26]. （原始内容存档于2015-07-26） （印度尼西亚语）. ^ Menikmati Johor Bahru Selangkah dari Singapura. Jawa Pos Group（英语：Jawa Pos Group）. 2015-07-04 [2015-07-09]. （原始内容存档于2015-07-26） （印度尼西亚语）. ^ 54.0 54.1 JB calling. 海峽時報. 2013-07-07 [2015-08-20]. （原始内容存档于2015-08-20）. ^ Tash Aw. With more Singaporeans in Iskandar, signs of accelerating détente with Malaysia. 纽约时报. The Malay Mail（英语：The Malay Mail）. 2015-05-13 [2015-07-26]. ^ Zazali Musa. Lure of the Singapore dollar. The Star. 2015-07-14 [2015-07-26]. ^ More M'sians prefer to earn S'pore wages. Daily Express (Malaysia)（英语：Daily Express (Malaysia)）. 2015-07-15 [2015-07-26]. （原始内容存档于2015-07-26）. ^ 土司工作室. 土司工作室, 编. 新新关系：看新山人如何看新加坡. 马来西亚: 大将出版社. 2002: 9832385024 [2017-10-11]. ^ Dominic Loh. Changed weekends could impact Johor's economy. 星洲日報. 2013-11-24 [2015-07-26]. ^ 46th EAROPH Regional Conference, Iskandar, Malaysia, Thistle Hotel, Johor Bahru (PDF). Eastern Regional Organisation for Planning and Housing（英语：Eastern Regional Organisation for Planning and Housing）. 2013 [2015-07-27]. （原始内容 (PDF)存档于2015-07-27）. ^ 8th WIEF Johor Bahru, Malaysia. 8th World Islamic Economic Forum. 2012 [2015-07-27]. （原始内容存档于2015-07-27）. ^ Low carbon city report focus on Johor Bahru, Malaysia. British High Commission, Kuala Lumpur. 英國政府. 2014-07-17 [2015-07-27]. ^ 大臣：发展重点规划区 巴西古当工业区提供30万工作. e南洋. 2014-09-08. ^ Karen Chiu; Grace Cao. Chinese investors home in on buoyant Malaysia. 英文虎報. 2013-12-05 [2015-07-26]. （原始内容存档于2015-07-26）. ^ Vivien Teu. China developers target Johor Bahru. Perspectives. 2014-02-12 [2015-07-26]. （原始内容存档于2015-07-26）. ^ Iskandar Malaysia Records RM158.13 billion in Investments For Year 2014. Iskandar Regional Development Authority. Iskandar Malaysia. 2015-03-10 [2015-07-26]. （原始内容存档于2015-07-26）. ^ Hiap Joo 协裕 Bakery & Biscuit Factory, Johor Bahru -FiND DiNiNG wiTH joHoR kAki. 2012-01-02. ^ Hawk Tayar. Hawk Tyre Service Sdn Bhd. ^ Wenken - History. Wenken. ^ Administrative areas of Johor Bahru City Council. 新山市政厅. [2015-07-27]. （原始内容存档于2015-07-27）. ^ 72.0 72.1 72.2 Total population by ethnic group, Local Authority area and state, Malaysia (PDF). Statistics Department, Malaysia. 2010 [2012-03-12]. （原始内容 (PDF)存档于2013-11-14）. ^ Lee, Yongqiu. 汕头大学图书馆潮汕特藏网 [Chaozhou cultural heritage of a temple]. Shantou University Library—Chaoshan special collection. 汕头大学. [2009-05-12]. （原始内容存档于2009-12-07） （中文）. ^ Tan, Ben. Keep Dialects And Culture Alive. New Straits Times (Malaysia: New Straits Times Press). 2010-02-28: 22 [2010-12-19]. ^ Eileen Lee; Shin Pyng Wong; Lyon Laxman. Language Maintenance and Cultural Viability in the Hainanese Community: A Case Study of the Melaka Hainanese (PDF). Athens Journal of Humanities & Arts. Athens Institute for Education and Research: 159. April 2014 [2015-07-24]. ^ Robbie B.H. Goh. Contours of Culture: Space and Social Difference in Singapore. Hong Kong University Press. 2005-03-01: 3–. ISBN 978-962-209-731-5. ^ Johor Sultan: English in danger of becoming older people's language. The Malay Mail. 2015-12-28 [2016-03-28]. （原始内容存档于2016-03-28）. ^ 麦留芳. "表3.19，柔佛州内的中国方言为分布". 1987: 89. ^ 全球首座~玻璃兴都庙 Arulmigu Sri Rajakaliamman‏. Okgojb. ^ Sultan Abu Bakar Mosque. 马来西亚旅游局. [2014-05-25]. （原始内容存档于2014-05-27）. ^ Tallest Buildings in Johor Bahru. Emporis. [2017-10-14]. ^ 填海工程改變新山風貌　越填越小　柔海峽或不复在. 东方日报. 2015-01-07. ^ Larkin Bus Terminal. Express Bus Malaysia. [2015-07-29]. （原始内容存档于2015-07-28）. ^ Johor Bahru Taxi. Taxi Johor Bahru. [2015-08-20]. （原始内容存档于2015-08-20）. ^ From Singapore to KL by train. The Malaysia Site. [2015-07-29]. （原始内容存档于2015-07-28）. ^ Singapore to Malaysia in just 5 minutes? It's now possible. The Straits Times/Asia News Network. Philippine Daily Inquirer. 2015-07-05 [2015-08-20]. （原始内容存档于2015-08-20）. ^ Preliminary engineering study on Rapid Transit System link to Johor Bahru completed - Channel NewsAsia. channelnewsasia. ^ Johor-Singapore Rapid Transit System by 2022. The Edge Markets. 2017-05-02 [2017-07-22]. ^ 95.0 95.1 Simon Richmond; Damian Harper. Malaysia, Singapore & Brunei. Ediz. Inglese. Lonely Planet. December 2006: 247–253. ISBN 978-1-74059-708-1. ^ Profit From Malaysia's Petrochemical Industry (Pasir Gudang-Tanjung Langsat, Johor) (PDF). Malaysian Industrial Development Authority: 6. 2011 [2015-07-29]. （原始内容 (PDF)存档于2015-07-29）. ^ 皇家阿布巴卡博物馆 (Royal Abu Bakar Museum). Malaysia Travel. 马来西亚旅游局. ^ 100.0 100.1 【携程攻略】苏丹阿布峇卡皇家博物馆门票,新山苏丹阿布峇卡皇家博物馆攻略/地址/图片/门票价格. You Ctrip. ^ History of Johor Bahru Old Chinese Temple. Persekutuan Tiong-Hua. [2007-10-01]. （原始内容存档于2007-09-17）. ^ 去看柔佛古庙“众神夜游” 这3个贴士你一定要懂. 联合早报. 2017-02-13. ^ Travel - Yahoo Style. Travel Yahoo. ^ 107.0 107.1 新山手工藝品中心. 馬來西亞觀光局官方網站. [2017-10-15]. ^ Guide to Iskandar Malaysia's Places of Interests. Iskandar Regional Development Authority. Iskandar Malaysia. [2015-08-20]. （原始内容存档于2015-08-18）. ^ 柔佛新山 Pasar Malam 夜市时间表 - JOHOR NOW 就在柔佛. Johornow. ^ 110.0 110.1 FM radio stations in Johor, Malaysia. www.radio-asia.org. ^ 柔佛人追看新加坡電視節目　南馬人情牽新國. 東方網 - 馬來西亞東方日報. ^ 接收新加坡有线高清电视频道-数码调谐器缔造商机. e南洋. 2014-06-14 （简体中文）. ^ Chris Taylor. Malaysia, Singapore and Brunei. 孤独星球. : 89 （英语）. ^ 百年历史情怀 ‧ 古庙游神7大历史背景小知识. JOHOR NOW 就在柔佛. 2017-02-09. ^ (柔佛州新山, 馬來西亞)Chinese Heritage Museum - 旅遊景點評論. www.tripadvisor.com.tw. ^ Lokasi Perbadanan Perpustakaan Awam Johor. Johor Public Library. [2015-08-09]. （原始内容存档于2015-08-09） （马来语）. ^ Perpustakaan Cawangan Seluruh Negeri Johor (Public Branches whole over the state of Johor). Johor Public Library. [2015-08-09]. （原始内容存档于2015-08-09） （马来语）. ^ Perpustakaan Desa (Village Libraries). Johor Public Library. [2013-05-14]. （原始内容存档于2015-08-09） （马来语）. ^ Direktori Hospital-Hospital Kerajaan. Johor State Health Department. [2015-08-03]. （原始内容存档于2015-08-03） （马来语）. ^ 121.0 121.1 Academic (Clinical) Vacancies (PDF). Newcastle University Medical School: 15. [2015-08-03]. （原始内容 (PDF)存档于2015-03-23）. ^ 柔特區打造醫療旅遊中心. 東方網 - 馬來西亞東方日報. ^ Healthcare projects in Iskandar Malaysia. Iskandar Regional Development Authority. Iskandar Malaysia. [2015-08-03]. （原始内容存档于2015-08-03）. ^ About Us. KPJ Puteri Specialist Hospital. [2015-08-03]. （原始内容存档于2015-08-03）. ^ SENARAI SEKOLAH MENENGAH DI NEGERI JOHOR (List of Secondary Schools in Johor) – See Johor (PDF). Educational Management Information System. [2015-08-04]. （原始内容 (PDF)存档于2015-03-16）. ^ Private School. Austin Heights. [2015-08-04]. （原始内容存档于2015-08-04）. ^ Lokasi-lokasi Menarik Berhampiran HSAJB (Interesting Spots Near Sultanah Aminah Hospital) (PDF). 新山中央医院. [2015-08-21]. （原始内容 (PDF)存档于2015-08-21） （马来语）. ^ 马来西亚工艺大学 Universiti Teknologi Malaysia（UTM）. FSI. ^ 南方大学学院 - 概况. Southern Edu. ^ 马来西亚的体育场（Tan Sri Hassan Yunos）. 世界体育场. [2015-08-04]. （原始内容存档于2014-03-27）. ^ JDT芭蕉葉足球場-達國際足聯標準. 中国报“柔佛人”. 2017-08-04 （中文）. ^ About Us. Sports Prima. [2015-08-04]. （原始内容存档于2015-08-04）. ^ JOHOR DARUL TA'ZIM CROWNED AFC CUP CHAMPIONS. the-AFC.com. Asian Football Confederation. 2015-10-31 [2016-09-09]. ^ Vick, Vijhay. JDT crowned AFC Cup champions. FourFourTwo.com. Haymedia Market Group. 2015-11-01 [2016-09-25]. ^ Malaysia's Johor Darul Ta'zim win AFC Cup final after Leandro Velazquez goal. ESPNFC.com. ESPN. 2015-10-31 [2016-09-25]. ^ 零秘密‧黃亞福傳奇（中） 不打算重建故居有因 黃亞福沒住過？. 中国报. 2014-07-16. （原始内容存档于2014-10-20）. ^ The Singapore Free Press. 1892-12-05. ^ Tun Hussein Onn. 马来西亚首相署官方网站. [2017-10-11]. ^ 148.0 148.1 马来西亚二十四节令鼓创始人：盼节令鼓扎根故里—. China News (中新网). ^ Consulate-General of the Republic of Singapore - Johor Bahru. www.mfa.gov.sg. ^ Amanda. Changzhou, Johor Bahru of Malaysia become sister-cities. JSChina.com.cn. 2016-11-10 [2017-05-05]. （原始内容存档于2017-05-05）. ^ Johor to strengthen trade and tourism activities with Guandong Province. The Stars Online. 2014年3月10日刊登. ^ 汕头和新山缔结为友好城市后首次文化交流. 汕头日报. 2012年2月16日刊登. （原始内容存档于2015年6月30日）. ^ Yu Ji. Kuching bags one of only two coveted 'Tourist City Award' in Asia. The Star. 2011-08-27 [2015-07-01]. ^ "Singapore ebook Edition", Lonely Planet pp. 180, Joshua Samuel Brown. ^ Helmut K Anheier; Yudhishthir Raj Isar. Cultures and Globalization: Cities, Cultural Policy and Governance. SAGE Publications. 2012-03-31: 376–. ISBN 978-1-4462-5850-7. ^ Relations between Turkey and Malaysia.. （原始内容存档于2015-06-30）. ^ Malaysian investors in Cotabato City. CotabatoCity.net.ph. [2017-05-05]. （原始内容存档于2017-05-05）.